Hellboy Hasn’t Done Well With Critics, But Did Audiences Like It? 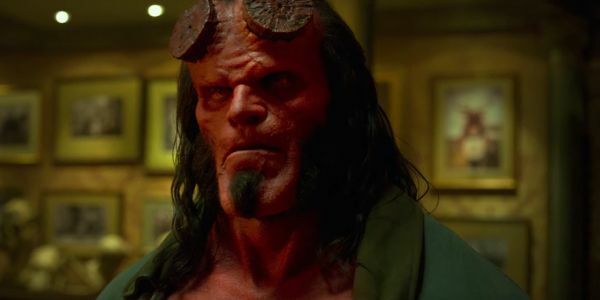 Hellboy‘s fortunes have been something of a mixed bag over this opening weekend. The best thing going for the movie right now is that about two-third of the fans that have seen the movie have liked it according to Rotten Tomatoes. While that number isn’t overwhelmingly positive, getting a strong majority of the people who saw the movie to publicly say they liked it isn’t ever a guarantee. Things are a little bit rougher when it comes to the film’s CinemaScore. While a score of C is, well, an average, and thus things could be a lot worse, when compared to other recent releases, Hellboy doesn’t do quite as well. Of all recent movies, only Rupert Wyatt’s Captive State has a lower score than Hellboy (C-). CinemaScores are tabulated based on surveys given to audiences on opening night, so things are weighted in favor of the film scoring well, as fans who go to see any movie on opening night are likely to be serious fans who have been planning on seeing the film. Most movies do better than a C with CinemaScore and few actually do worse than that. Finally, there’s the box office, which is the ultimate determination of a film’s success. While most of the people who saw the movie may have liked it, the fact is not a llarge number of people actually did. Hellboy was projected to bring in something in the neighborhood of $17 million, which wasn’t exactly a blockbuster movie number, but would have competed for the box office crown against Shazam!‘s second weekend. However, the film ended up doing a much poorer than expected $12 million. That wasn’t even enough to be the best new release for the weekend, as the comedy Little was able to do $15 million. Both films fell to Shazam! which added another $25 million to its growing total. It’s possible Hellboy could pick up business internationally. The movie opened in most territories on or before this past Friday, but international numbers have yet to be reported. If other countries were attracted to Hellboy more than people were domestically, the movie could actually turn out ok, or even become a hit if things go very differently. At this point, that’s about the only thing left that could save Hellboy, which is probably sad news for those people who actually saw the film and thought it was good.